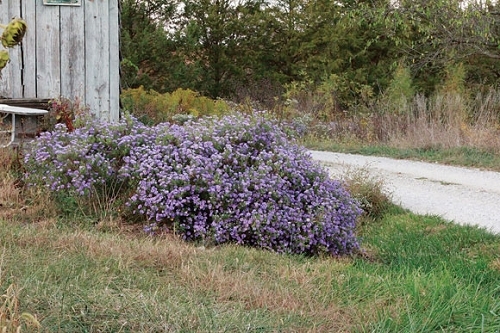 In botanical nomenclature, it is now (sometimes) referred to as Symphyotrichum oblongifolium. An excellent, compact aster that displays a mass of light blue during the cool days of fall. Hundreds of daisy-like flowers will keep the bees busy a little while longer at the end of the season. 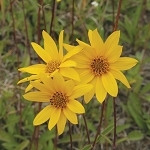 Plant with Prairie Dropseed and Goldenrod as companions. Seed is fairly easy to germinate, though it does lose some viability after a year or two. Stratification is not necessary. Q: Lois - do deer usually eat these? A: Deer usually do not eat these.